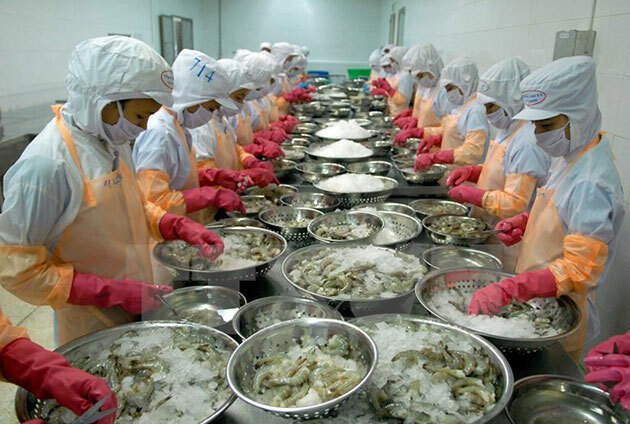 Vietnam earned 589 million USD from shipping shrimp to the EU in 2016, a yearly increase of 7.5 percent, according to the Vietnam Association of Seafood Exporters and Producers (VASEP). Vietnam’s shrimp exports to the EU in November 2016 reached 50.5 million USD, up 14 percent compared to the same period in 2015. The EU remains Vietnam’s second largest shrimp importer, after the US, making up 19 percent of the total amount of exported shrimp. The UK, the Netherlands and Germany are the three main markets of Vietnamese shrimp in the EU. Shrimp shipment to the UK and the Netherlands increased by 4.3 percent and 34.7 percent respectively while shipment to Germany fell 3.2 percent by last November./.